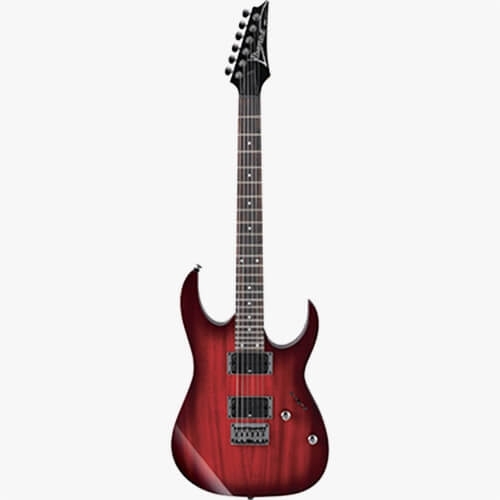 The Ibanez RG421-BBS solidbody electric guitar is purpose-built for high-speed, low-drag shredding! It all starts with the RG body style, which is primed for players with attitude. The RG421-BBS also gives you a fast-playing 3-piece maple Wizard III neck and a resonant, well-balanced mahogany body. You'll love how this guitar feels as soon as you pick it up. And it sports two hot humbuckers, perfect for rock, blues, and metal. Get your hands on an Ibanez RG421 solidbody electric guitar and prepare to shred!